This item has been discontinued and replaced by the DFRrduino Uno R3 Arduino Compatible Microcontroller. 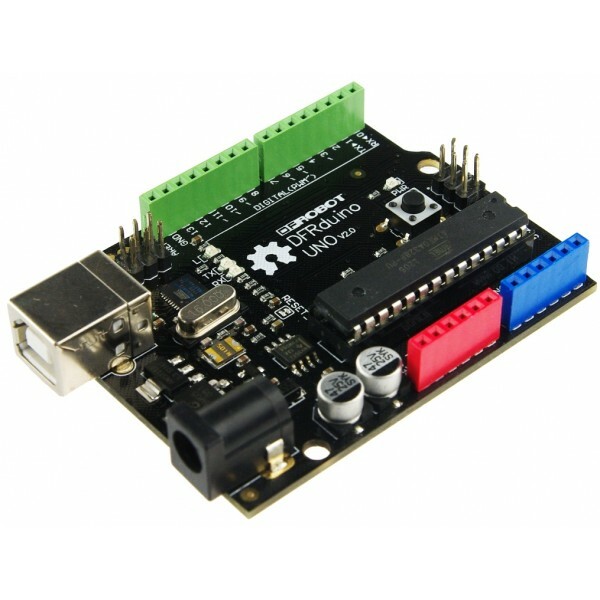 The DFRduino Uno V2.0 microcontroller board is fully compatible with popular Arduino Uno R2. It features an ATmega328 microcontroller with 14 digital input/output pins and 6 analog inputs for connecting to your robot project. Six of the digital pins can be used as PWM outputs for controlling motor speeds and other operations. It is fully compatible with the Arduino IDE for super easy programming over USB and also provides an ICSP header for advanced programmers. 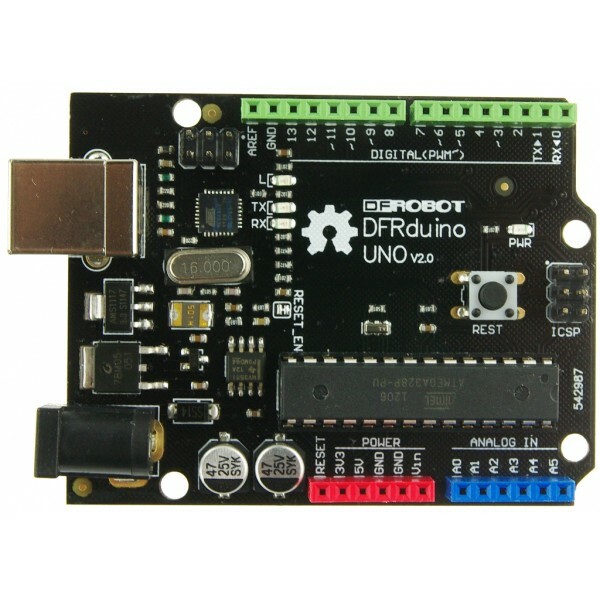 This microcontroller board has all of the features of the original Arduino Uno R2 such as a 16 MHz crystal oscillator, USB connection, power jack, ICSP header, and reset button. The headers are color coded for easy identification. The DFRduino uses a friendly socketed DIP AVR chip so that you use this board as an ATmega328 chip programmer too. It is easily expandable by attaching a variety of Arduino compatible shields. Requires a USB cable for connecting to your computer and batteries when powering your robot. It can also be powered by AC adapter or receive power directly from your computer via USB.